Hypothermia, as well as penetration into the middle ear pathogens can cause inflammation, or otitis media. A sure sign is a sharp, piercing pain in the ear, itching, decreased hearing and discharge from the ear canal. The traditional method for the treatment of acute otitis media is antibiotic therapy. It helps to avoid the spread of inflammation to the nearby organs. However, the chronic form of the disease can be cured without antibiotics. 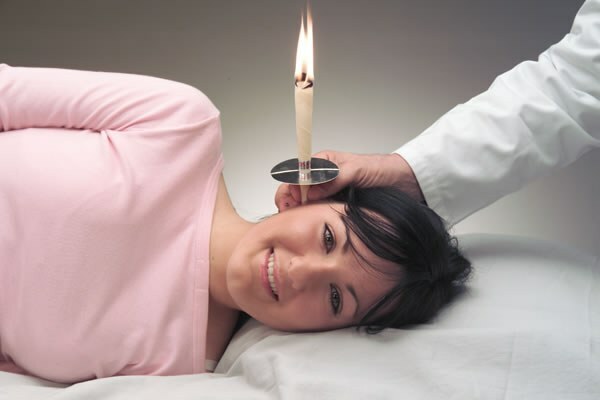 - cotton swabs and ear vitovec to cleanse the ear canal. Do not treat yourself for acute otitis media, accompanied by fever, chills, malaise and sharp pain in the ear. It is dangerous for health and sometimes for life, because the spread of the inflammatory process in the eye or brain can cause irreversible consequences. In this case shown only medication with antibiotics. If a middle ear infection turned into a chronic form, or occurs with just noticeable symptoms, try to cure otitis media without antibiotics. But inflammation is not passed into festering for, use drugs, and only in addition, to accelerate the recovery of traditional medicines. Of pharmaceutical drugs for the treatment of otitis media use Vibrocil topically 3-4 drops in the ear canal 3-4 times a day, "Otinum" 3-4 drops 3-4 times a day, "Drops", 3-4 drops 3 times a day, "Polideksa" 2-5 drops 2 times a day. Bury them just warm. Since they have several contraindications and side effects, carefully read the user manual. If there is no ear purulent discharge, do hot compress. Cut out fabric and waxed paper circle with a hole for the ear (during overlay, compress it must be open). Lubricate the skin around the ear baby cream or vaseline and moistened a cloth in a warm ethanolic solution (50 ml alcohol 50 ml water), apply to the skin. Cover the tissue paper, also leaving the ear on the outside on top of paper apply cotton wool and secure it all with a bandage. Leave on for 1-2 hours. In addition to the poultice, apply to warm ear bags of hot salt or sand. After any heating procedure, keep your head warm – head tie a woolen scarf. Simultaneously with heat treatments for the treatment of otitis eat as much of the labour and beverages: hot tea with honey, brewed leaves of currant, raspberry or lime, broth hips, chamomile. In the treatment of otitis media without antibiotics, be sure to use herbal medicine - use of decoctions of herbs inside and make them gadgets. Wrap 2 tbsp elder flowers and chamomile in a cheesecloth, pour boiling water and after 2-3 minutes, lightly wrung out, attach close to the auditory passage, but not him. In the same way do lotions from a mixture of herbs thyme (thyme), oak bark, tormentil root, calamus root. For indoor use drop 1 tbsp of chopped herbs camel thorn trees in 200 ml of boiling water for 5 minutes on low heat. Use strained in a half a Cup 3 times a day. In treatment of otitis media without antibiotics or with them is of great importance to the care. In addition to local effects using heat treatments and drops several times a day gargle anti-inflammatory herbal teas, such as chamomile and clean the auditory passages with cotton swabs, but do it very carefully not to damage the eardrum, and better use of pharmacy wax candles with propolis. Treat otitis media ear Bay leaf. When inflammation of the ear (otitis) helps warm infusion of Bay leaf. Need 1 tablespoon of crushed leaves pour 0.5 cups of boiling water, to insist 1-2 hours, heat wrapped, then drain and drip 3-4 drops in each ear. How to cure otitis media at home. Otitis media (inflammation of any Department of the ear) is inner, middle and outer. If left untreated, it can develop deafness or hearing loss. In addition to treatment with medication, there are national recipes of treatment of otitis media, in the home. Alcohol solution Shilajit has anti-inflammatory effect : moisten a cotton swab in the solution, squeeze lightly and insert into the ear.